Dr. Kristen Lynch is a Professor and Chair of Biochemistry and Biophysics at the University of Pennsylvania. She received her B.A. in biochemistry and her Ph.D. in biochemistry from Harvard University. Afterwards, Kristen pursued postdoctoral training at the University of California, San Francisco. She served on the faculty at the University of Texas Southwestern Medical Center prior to joining the faculty at the University of Pennsylvania in 2009. Kristen is the recipient of many awards and honors for her work, including a National Science Foundation CAREER Award. She joined us for an interview to talk about her experiences in life and science. When she’s not at work, Kristen loves being outdoors. She spends her free time kayaking, paddle boarding, biking, hiking, and doing yoga. Kristen’s research focuses on alternative splicing. Every cell in your body has the same DNA that you can think of as the instruction manual for the cell. However, different cells in our bodies use different pieces or chapters of the DNA instruction manual to perform their roles. Different cells under different conditions may use only certain parts of a chapter or they may remove certain pages that aren’t needed. This process of reading and using only selected parts of the DNA and ignoring others is called splicing. Kristen’s lab is investigating how cells decide when to use an entire portion of the DNA instruction manual versus when to exclude parts of the instructions that are not useful or would be harmful. In particular, Kristen is interested in alternative splicing in the immune system and what happens when cells are faced with an immune challenge. Kristen was surrounded by science growing up since her father, uncle, and both grandfathers were all researchers in different fields. She recalls always being interested in science, but she didn’t start to solidify which area of science she wanted to pursue until her first few years in college. When Kristen took an introductory molecular biology class, her mind was blown, and her curiosity was piqued. She was fascinated by the intricate molecular machinery within cells that allowed them to detect things in their environment and control gene expression accordingly. Since then, a desire to better understand gene expression and how genes are controlled in different cells and in different conditions has driven her research efforts. It can be hard to dedicate time to celebrate successes. As a grad student, Kristen’s advisor would be excited about her new results for just seconds before moving on to everything they should do next. While this bothered her years ago, she has actually started doing this too. Part of the excitement of research is looking at what comes next and what the broader impact may be. Another big challenge in Kristen’s career came after she was awarded tenure. This was a big and exciting success, but the thrill was short-lived because she quickly realized that having tenure didn’t mean much if she couldn’t get her grant renewed and continue to publish papers. At that time, one of her grants was being considered for renewal and she was struggling to get her papers accepted. Kristen began to wonder if she could keep doing this. She had pushed hard leading up to the tenure decision, and now there were even more hurdles in front of her. In Kristen’s lab, they have a tradition of celebrating big events like grants getting funded, papers being accepted, and students passing qualifying exams or thesis defenses by sharing champagne, beer, soda, or other drinks. They always label the bottle with the success and keep them on a shelf in her office or in the student office. The empty bottles are all lined up like trophies, and they serve as a physical reminder during tough times of all the great things the group has accomplished together. Ten years ago, Kristen traveled to Bariloche, Argentina in the Andes in the northern part of Patagonia for a small conference on gene splicing. The town was stunningly beautiful with snow-capped mountains and a crystal blue lake. The scientific presentations were incredible, so Kristen wanted to be inside hearing about her colleagues’ research, but she also really wanted to be outside enjoying the gorgeous scenery. Fortunately, they had blocked free time on the schedule for going outside, hiking, and boating on the lake. More recently, Kristen went to Japan and Singapore for back-to-back conferences. This trip was particularly meaningful because her son came as her travel companion, and they were able to dedicate a few days to exploring Tokyo, Kyoto, and Singapore. In addition to their tradition of collecting bottles from all of their lab celebrations, Kristen’s lab has an annual outing every summer. They often go to a baseball game together, and it is important for Kristen to dedicate time to socializing with the group outside of the lab. Communication is critical in science. Being able to communicate clearly and succinctly is the key to getting grants, getting funding, communicating your work in a presentation, and being successful as a scientist. Working in science is fantastic. It is a flexible career, and it is definitely possible to have a family and be successful in science. Remember that the people who have done well as researchers aren’t necessarily more capable than others, but they refuse to give up. If research is something you are passionate about and good at, don’t give up. The path won’t always be easy, but it is worth it. Kristen received both her B.A. and Ph.D. from Harvard University, where she was fortunate to train with two leaders in the field of molecular biology and gene regulation, Drs. Mark Ptashne (B.A.) and Tom Maniatis (Ph.D.). As a graduate student, she was introduced to the field of RNA processing, and she developed a life-long passion for unraveling the mechanisms of RNA-based gene regulation. As a post-doctoral fellow with Dr. Arthur Weiss (UCSF), Kristen applied her expertise in RNA-protein biochemistry to one of the first known examples of mammalian alternative splicing, that of CD45 in activated T cells. This dual training and interest in both the RNA and Immunology fields has formed the basis of her independent laboratory. 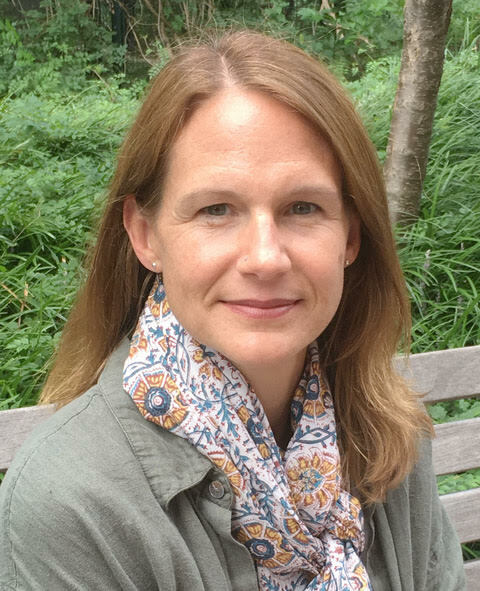 Broadly, the long-standing goal of Kristen’s research program has been to delineate the mechanisms and physiologic consequences of regulated RNA processing as it relates to human immune responses. Over the years, her group has expanded their studies from CD45 to additional signal-responsive genes in human T cells and has continued to be on the leading edge of the study of RNA binding proteins, splicing mechanism, and the role and regulation of splicing in T cell biology. Discoveries have included the identification of a broad program of alternative splicing induced by antigen stimulation of T cells, characterization of novel mechanisms by which the splicing catalytic machinery is regulated, and delineation of signaling pathways that alter the expression and activity of RNA binding proteins. In recent years, they have expanded use of biochemical and genomic approaches to address additional questions at the interface of immunology and RNA biology, including the regulation of viral mRNA processing by host proteins and the impact of RNA binding proteins and alternative splicing to cancer.